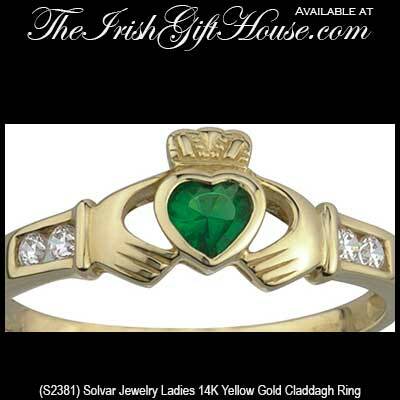 Gold Claddagh ring features a lab created emerald heart along with CZ stone accenting in the 14K design. This emerald Claddagh ring is crafted in 14K gold and features a lab created stone heart along with channel set CZ stones in the shoulders. 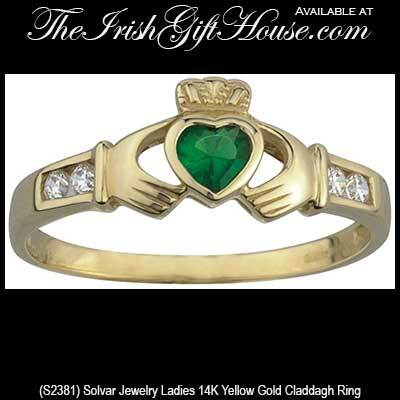 The gold Claddagh ring measures 3/8" tall from the bottom of the heart to the top of the crown.